April Furey, a Connecticut native, earned her bachelor's degree in Special Education from Central Connecticut State University. In 2003, after teaching at a local high school, she began her real estate career. In 2010, April joined the Danbury office of William Pitt Sotheby's International Realty. She currently resides in Bethel. April is an active and well known member of the community, who maintains extensive knowledge of Bethel and the many towns that surround it. April's optimistic attitude and her ability to listen to the needs of buyers, sellers, and renters, is what she believes allows her to continue to achieve success in today's current real estate market. She places priority in assisting her clients in every stage of the real estate transaction, no matter the type or price range. Over the years, April has found it a privilege to work with many repeat clients and referrals. Using the latest Internet marketing tools, offered by her local MLS and by William Pitt Sotheby's International Realty, April is able to expose properties to the widest possible range of buyers. Her real estate knowledge extends to that of Northern Fairfield County and Lower Litchfield County. In addition to working full time in real estate, April is a committed and supportive volunteer member of several organizations. 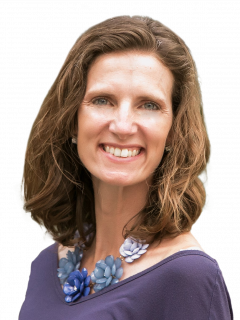 She has served on the Board of Trustees for the school her children attend, The Fraser Woods Montessori School, while also serving as the school's Parent Association President for two years, and chairing the school's auction. April also served on the Board of Directors for the local non-profit organization Dream Come True of Western Connecticut, which fulfills the dreams of terminally, chronically, and seriously ill children. Currently she is co-founder of an upcoming non-profit Inner Strength of a Widow. Helping Widows and Widowers find their inner strength as they embark on a new and unknown journey. The non-profit provides a supportive community for individuals and families in the greater community who just suffered the loss of a loved one. She also pursues a wide variety of interests which include golfing, camping, scrapbooking, hiking, and a general love of the outdoors. April is a member of the Bethel Chamber of Commerce, Northern Fairfield County Associationof Realtors, Connecticut Association of Realtors, and the National Association of Realtors. Along with being a Certified Distressed Property Expert, which helps facilitate short sales, she is also a Certified Home Staging Professional, Accredited Buyers Representative, and a Certified Relocation Specialist. Servicing: Bethel, Brookfield, Danbury, Easton, New Fairfield, New Milford, Newtown, Redding, Ridgefield, Weston, and Wilton. April looks forward to working with you and making your real estate transaction a smooth one! Working with April was an absolute pleasure. She did an exceptional job navigating a very precise sale for us as both the seller and subsequently being a buyer and she absolutely nailed it. We had a property that was going to require a very specific buyer relative to the specs of the place and to say that she quickly generated demand and found us the perfect buyer in an expedited amount of time would be an understatement. Her subsequent management of both the buyers, and perhaps more importantly us, was something that gave us comfort and confidence throughout the whole experience. Her tenacity, compassion for our situation, genuine nature and attention to detail left what always promises to be the most difficult transaction of your lifetime to be very palatable for us - to the point where I now consider April to be a life long friend. Beyond what April personally brings to the table I'd also like to take a second to call out the team that she brings with her. She has a network of professional and downright personable people that as you'll notice I referenced earlier made the whole interaction an "experience". Everything from knowing great lenders, to a top notch inspector, septic, painters, movers - you name it. Obviously everyone may have their own folks they choose to use in that space, but we basically worked across April's network and everything worked in unison very nicely. Needless to say it's no wonder April is successful in what she does, would absolutely recommend her.